3.30 p.m: A volatile session ends the day with Sensex trading 119 points higher at 16,065 while Nifty traded 34 points higher at 4812. European markets, which opened 1.5 percent higher has come off their high and trade near the low of the day, barely trade in positive territory. Among the stocks that saw movement during the day was Pipavav Defence which announced an issue of preference shares at Rs 110. The stock closed the day at Rs 57.25, up only 1.86 percent, after touching a high of Rs 62. Tata Motors closed 7.4 percent higher at Rs 173.50 on higher European sales and brokers recommending a buy on the stock. Thomas Cook fell sharply during the day, after shares of its parent company in UK fell 60 percent as it faces liquidity issues. Titan fell 6.5 percent after Citi downgraded the stock, it closed the day at Rs 185.45. Pantaloon moved sharply in the later stages of day with a close of Rs 189.45, up by 9 percent. 2.30 p.m: Thomas Cook trades 14 percent lower as its parent company, which holds 77 percent of its stakes has fallen by 60 percent in UK. The parent company is negotiating with banks to increase borrowing. In India the stock trades at Rs 38.15, down 14 percent. It was trading at Rs 43 before UK markets opened. Meanwhile, Sensex has fallen from the day's high and currently trades 100 points higher at 16,050. Nifty is at 4810 up 31 points. Titan is the top loser falling by 6 percent at Rs 186.40. 1.30 p.m: Sensex trades 260 points higher at 16,200 while Nifty is trading 68 points up at 4846. European markets have opened nearly 1.5 percent higher, which has helped push Indian markets further. Tata Motors trades 8 percent higher at Rs 174.60. Pantaloon has just started moving higher and currently trades 5 percent higher at Rs 182.70. 1.00 p.m: Infosys has moved 3 percent higher at Rs 2753, this is despite the company saying it faces headwinds given the current deteriorating scenario in the international markets. Meanwhile Sensex is trading 200 points higher at 16,145 and Nifty is at 4833 higher by 55 points. 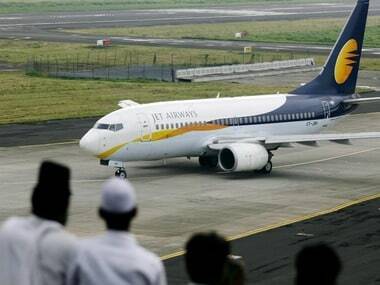 Tata Motors has moved up by 6.65 percent at Rs 172.30 while Jet Airways has moved up by 5 percent at Rs 251.35. 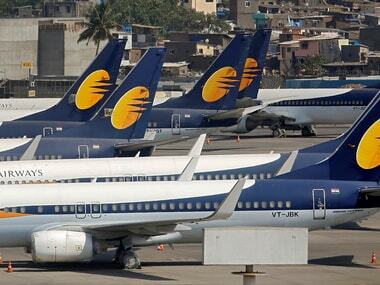 Jet Airways' auditors had said that the company needs to raise funds to meet its commitments as well as for its subsidiary JetLite. 12.00 p.m: Markets are trading in a narrow range with Sensex trading at 16,062 higher by 116 points while Nifty is at 4801 up 22 points. Titan has fallen over 5 percent after Citi downgraded the company. The stock currently trades at Rs 188.20, down 5.12 percent. Tata Motors has moved up by 4.5 percent at Rs 168.80 and is the top performer among frontline stocks. Kotak has come out with a 'ADD' rating for the company with a price target of Rs 195. Jubilant Foodworks trades 5.50 percent lower at Rs 720 despite the company increasing prices by 7 percent of its pizza's. 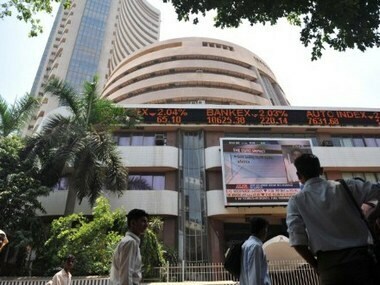 10.30 a.m: Markets have moved higher with the Sensex trading 175 points higher at 16,121 and Nifty is 49 points up at 4828. Pipavav Defence has said that it will be issuing shares 8.18 crore shares at Rs 110 a share. Pipavav currently trades at Rs 61.70, up 9 percent. 9.30 a.m: Markets have moved higher as after opening flat as traders roll over their derivative position to December. BSE Sensex currently trades at 16,065 up 120 points while Nifty trades at 4798 up 20 points. Infosys opened lower with a gap but has since moved higher and currently trades at Rs 2690, up by 0.75 percent. Pantaloon continues to slide today with the stock trading 5 percent lower at Rs 164.80. VIP Industries is the top losers falling nearly 6 percent to Rs 109.9. The stock in under pressure as analyst believe a falling rupee will increased import cost. Rupee meanwhile has touched an all time low today at 52.68 against the dollar. Refinery counters opened lower as a falling rupee will impact recoveries of these companies. 9.00 a.m: Wall Street dropped as members of a special US debt cutting committee confirmed that they had failed to reach a deal to reduce the budget deficit. Dow Jones fell by over 2 percent after Europe closed the day falling by nearly 3 percent. Asian markets opened lower, reflecting the bearish sentiment across the gloeb, but have since moved higher and currently trade near the day's high. Indian markets are likely to open flat with a slight upward bias as this is the last week of derivative positions to be rolled over. European markets, however, can decide the trend in the second half. In the dying minutes of trade on Monday, Infosys raised an alarm that it might not be able to meet the bottomline guidance. The company has said that international economic scenario has deteriorated further which can affect revenue growth going forward. 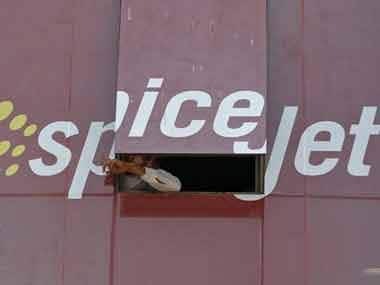 Though the stock lost Rs 100 in the last five minute of trade on Monday, it can see further pressure today. 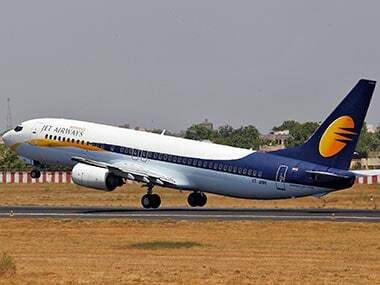 Jet Airways can also be under pressure as its auditor has warned that the company needs to raise money to meet its obligations and fund JetLite. Empowered Group of Ministers (EGoM) have again postponed their meeting for allowing sugar exports. Sugar counters had seen some buying in anticipation of clearance of export quota. These counters can see selling pressure today.